If you’ve read Isabella’s novel Ester Ried’s Namesake, you probably remember Esther Ried Randall’s reaction when handsome Professor Langham invited her to join a party he was organizing. His plan was to drive a group of friends to the city to spend the day, then treat everyone to an evening show at the theater. Poor Esther! She wanted so much to drive to town and spend a day shopping and seeing the sights; but her loving Christian parents had taught her that good Christians did not attend theater performances. “Beverly” was a popular play in 1904. 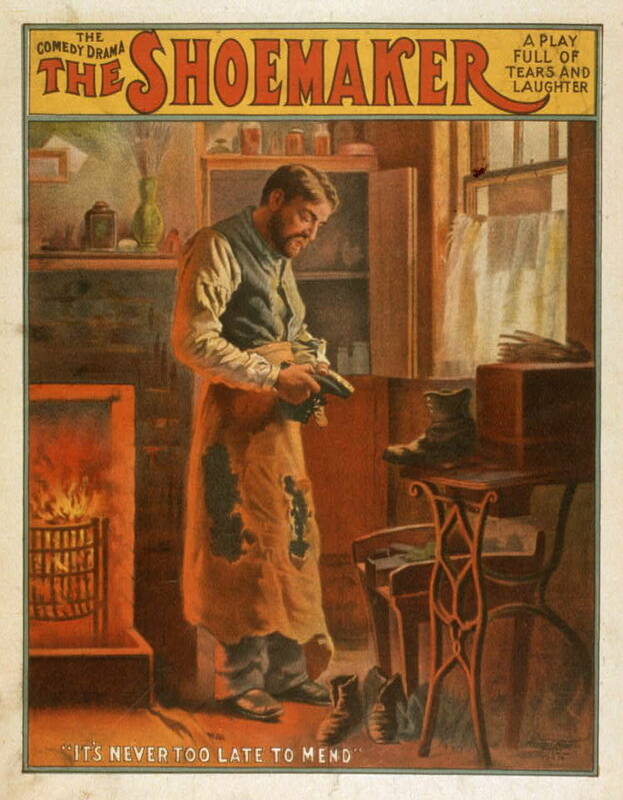 It was based on the best-selling novel of the same name by George Barr McCutcheon. Renowned artist Harrison Fisher created the poster artwork. There was an amused smile on his face and a note of amused toleration in his voice. Still, Esther might have answered him quietly but for that word “Puritanical.” Over that she flamed. Doris Farrand struggled with the same issue when her boyfriend Richard invited her to attend a play with “a splendid moral lesson” in the book Doris Farrand’s Vocation. 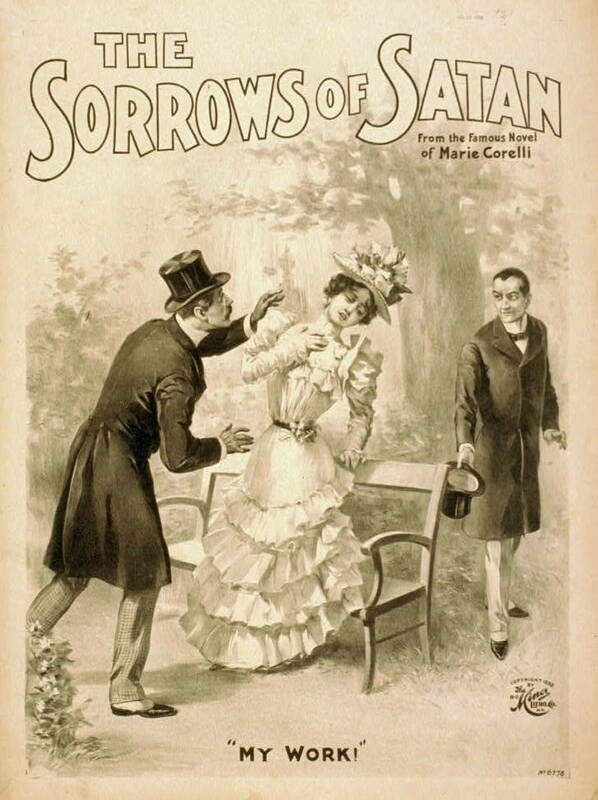 In 1898 “The Sorrows of Satan,” based on the best-selling novel by Marie Corelli, was a moralistic play with a Faustian theme. 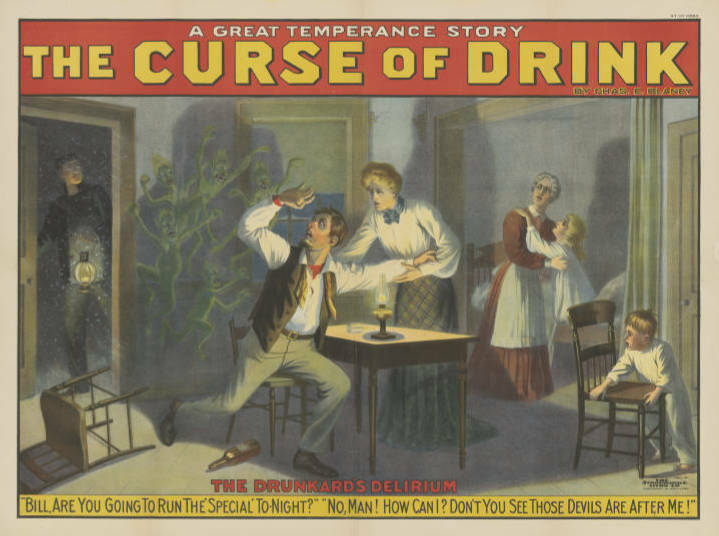 “The Curse of Drink” was a 1904 temperance play that portrayed one man’s addiction to drink, and it’s affect on his family. Doris’s boyfriend was a seminary student; he was studying to be a minister. Surely, he argued, he was a better judge of what was right and wrong; surely Doris should trust his judgment and go with him to the theater. 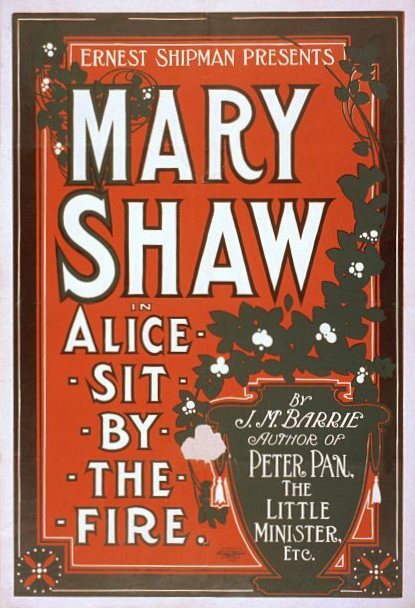 “Alice Sit by the Fire” was a sweet, wholesome play written by J. M. Barrie, the author of “Peter Pan” and “The Little Minister.” Actress Mary Shaw starred in the 1907 production. But in the end, Doris stood firm in her decision to remain at home, which didn’t please Richard at all. Esther Randall also stayed at home, and struggled with the idea of living by her parents’ “hated scruples.” She felt she was missing out on all the fun in life, merely because her mother and father had some old-fashioned ideas. Esther couldn’t have agreed more! In the book, Isabella describes Esther’s struggles in a very compelling way. Isabella understood what it was like to be young and want to go where her friends went and do that they did. But as a Christian, Isabella was very aware of the example she set for her family, friends, and acquaintances. And because her husband was a minister, Isabella knew members of the congregation scrutinized her behavior—some did so to take inspiration, and others to find fault. Whatever their reasons, Isabella knew people watched her, and she was careful to set what she hoped was a good and clear example of Christian living. For if your brother is grieved by what you eat, you are no longer walking in love. By what you eat, do not destroy the one for whom Christ died. Therefore, do not let what is for you a good thing be spoken of as evil. Isabella knew those verses weren’t just about food; they applied to anything a Christian might do or say that could influence others. 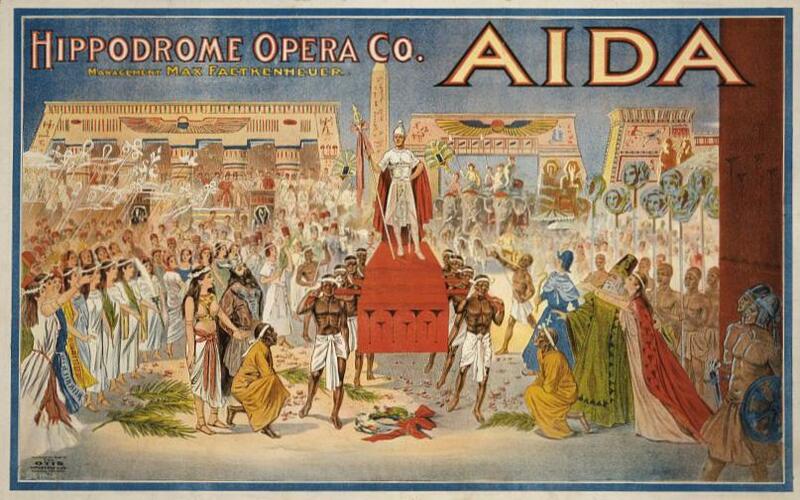 This innocuous-looking ad for a new play, “A Stranger in New York” appeared in an 1890 Brooklyn, New York newspaper. She knew that if a non-believer—or a new or struggling Christian—should see her entering a theater to see a morality play, that non-believer might assume that she went to other plays, as well, and that she considered any theater production to be acceptable. 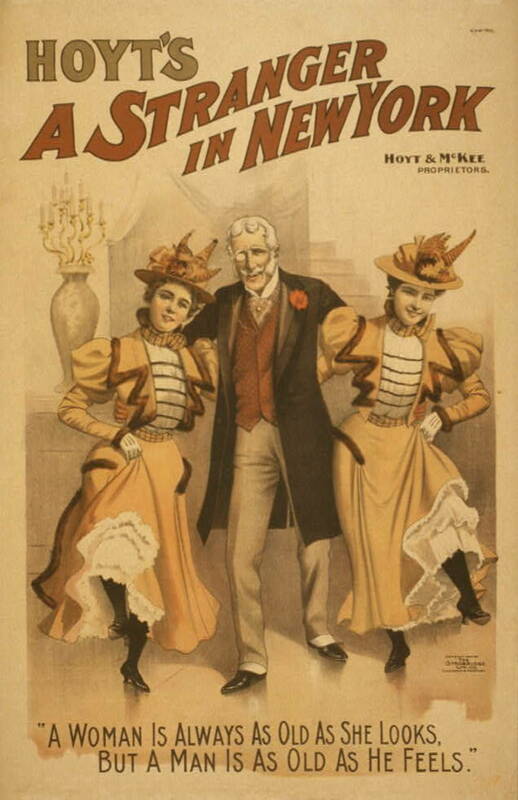 This poster for “A Stranger in New York” may look innocent by today’s standards; but in 1890 it was quite risqué. Ladies did not lift their skirts to show their ankles; nor did they allow men to put their arms around them in a familiar manner. Isabella didn’t want to run that risk, so she made it a rule in her life not to attend the theater for any reason. 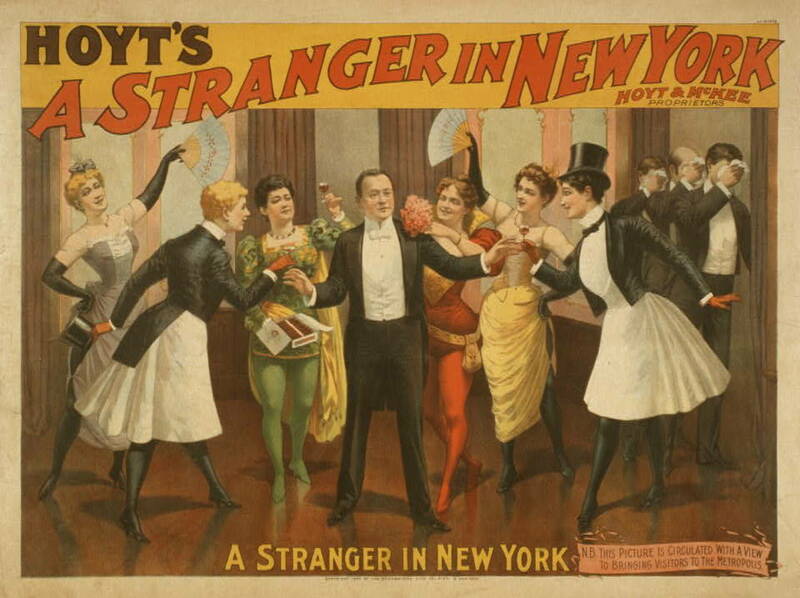 Another poster for “A Stranger in New York.” The image includes every possible element that was contrary to Christian standards of the time: women wearing short skirts and scandalously revealing leotards, cigars, wine, and flirtatious behavior. She wasn’t alone in setting that standard. In 1892 Methodist Bishop John Heyl Vincent (a co-founder of Chautauqua Institution) published a short book titled Better Not. In his book Bishop Vincent explained why Christians should ask themselves hard questions about their actions, and whether those actions were harmful or helpful to a soul who may follow their lead. She hoped that young Christian women who read Esther’s story would be inspired to keep those two verses in Romans foremost in their minds whenever they planned an evening entertainment with friends and family. You can read Bishop Vincent’s book Better Not for free! Click here to find it on Google Books. Then click on the red “Ebook – Free” button to read it on your phone or table, or to download it as a pdf. And you can click on the book cover to find out more about Ester Ried’s Namesake (Book 7 in the Ester Ried Series).